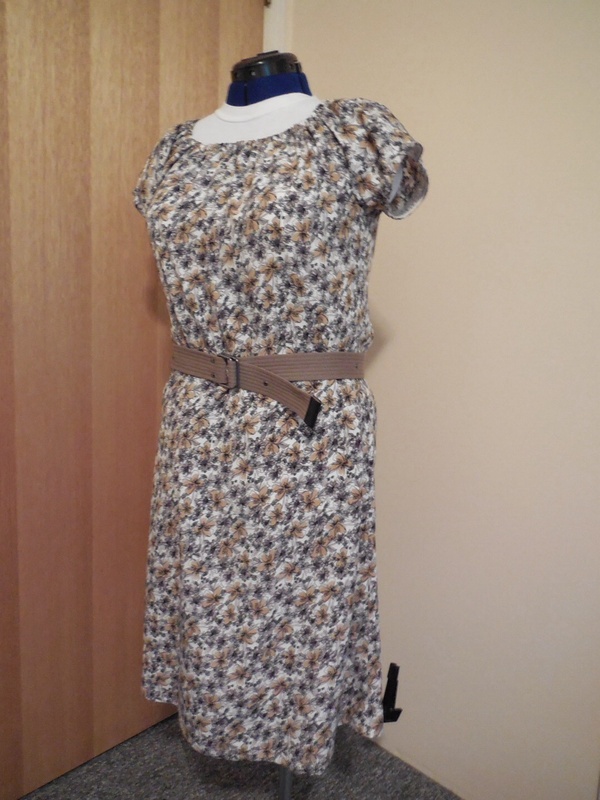 Me-Made-May’14 the last post :( – Nice dress! Thanks, I made it!! The Last Post … I feel like there should be a Bugle Call in the background! Monday, May 26 – something I made long ago, but still love today. Very stylish with its princess seams, and very comfortable too! 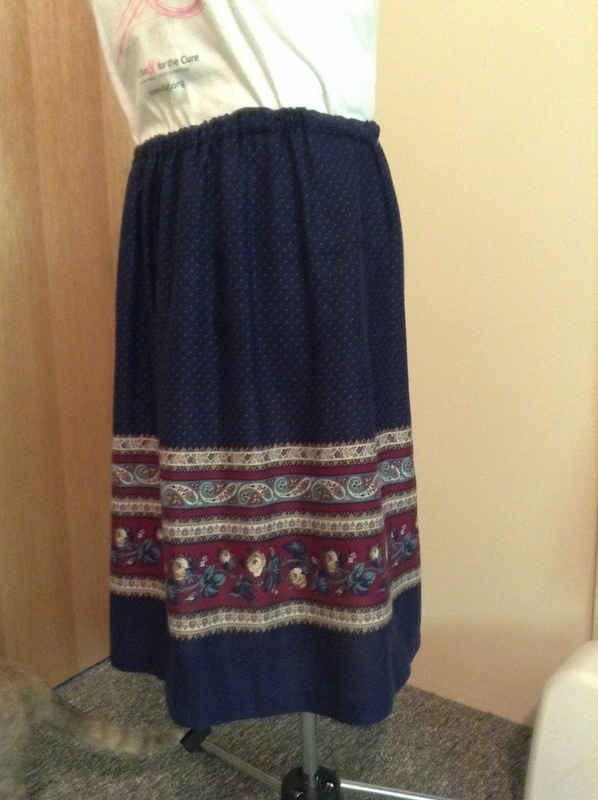 Tuesday, May 27 – a border print skirt I also made long ago. It is so difficult to find border print now, but I still see it on the store mannequins. Why isn’t there more of it in the fabric shops? Maybe you can get it on-line? Wednesday, May 28 – a summer-y dress for some summer-y weather we have been having. Thursday, May 29 – another summer-y dress. Love this fabric! Friday was the usual jeans and top at work. Saturday and Sunday, yoga pants and T’s – very predictable! That is it for this year! I certainly have enjoyed going through my closet. Apparently there is a definite lack of Me Made clothes to wear at home. I am going to have to remedy that! Also, I have on the list to conquer sewing myself a pair of jeans… someday! Gosh, you’ve been busy! I don’t have any paisley print dresses or blouses but the materials you find are beautiful. 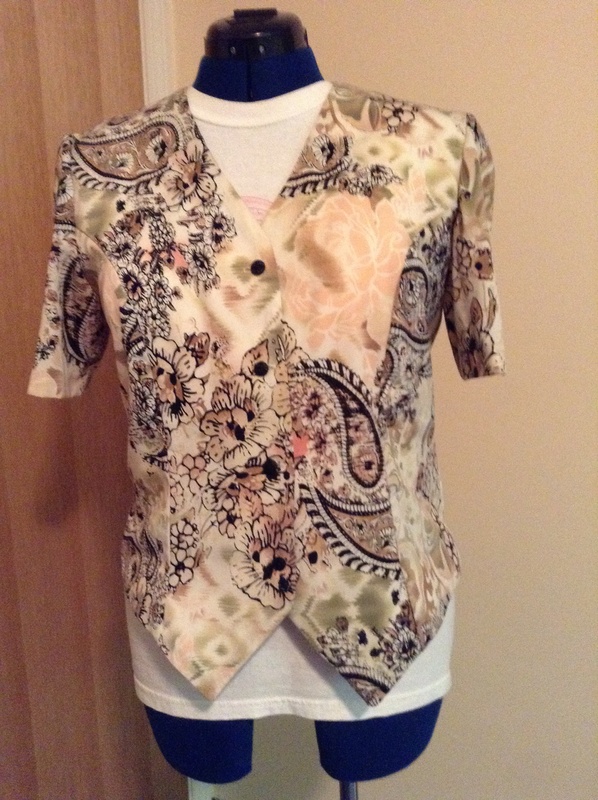 I really really like the first short sleeve blouse. The pattern on the material is gorgeous. All your garments look lovely. 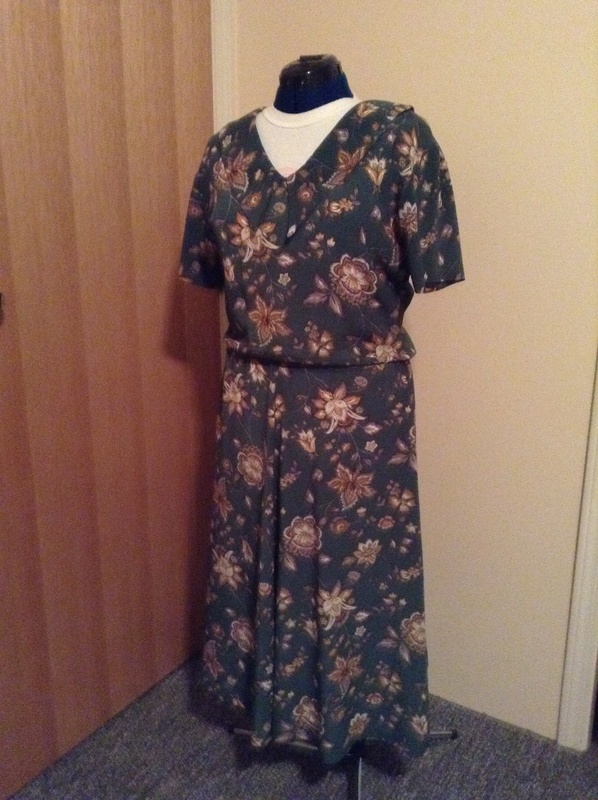 I’m finishing a dress for someone else then I’m hoping I can make myself a few nice sleeveless blouses. We are supposed to be in for another week of great weather. Good job. Happy sewing. Well thank you very much for all the lovely comments! Good luck to you in your fabric searching! Looking forward to seeing the dress! Well done on getting to the end, it’s been so much fun I’m really going to miss it. Good luck on making the jeans, I must admit I haven’t made a pair of trousers yet. I have trouble getting rtw to fit me so maybe I should have a go! I enjoyed it too! I haven’t made any pants yet neither, but I bought a Craftsy course and I think I might be able to, with some time and patience! Ia great group of prints- I love them! I have enjoyed all of the garments that you have shared in May. You have a great wardrobe! I have lived vicariously through you for the past 30 days. Good well done! There should be an award given for those who made it through. Bravo? Haha, well thank you! I have enjoyed examining my closet too! On to another challenge now! I got to the end as well and I’m now inspired to sort out the gaps in my wardrobe. Well done for keeping up with the photos. I have to fill in gaps too! Thank you for looking! Photos and posting was the hardest part. Good luck with the jeans! Can’t wait to hear about it when you finally attempt them! Thank you! I am trying some indie patterns this month, for Indie Month at the Monthly Stitch, of course I will be babbling away about them! Then on to pants or jeans. I know I don’t have the equipment to do any wild embroidery on my jeans, or beading, or ?, so I will have to settle with getting a good fit (fingers crossed) and top stitching. Guess I am going to have to find a GOOD photographer too! Maybe I can teach the cats how?